These Salted Caramel Apple Cinnamon Turnovers and this post is sponsored on behalf of #appleweek. Our generous sponsors, Swiss Diamond, Envy Apples, Imperial Sugar, Nordic Ware, Rodelle Vanilla, Flahavan’s Irish Oatmeal, Nairn’s and The Spice House have provided us with products for recipe creation and a giveaway for our readers. 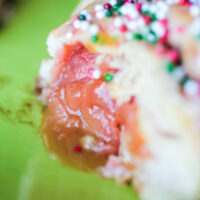 Gooey caramel, cinnamon candy soaked chunks of apple all wrapped up in a flaky dough dumpling. 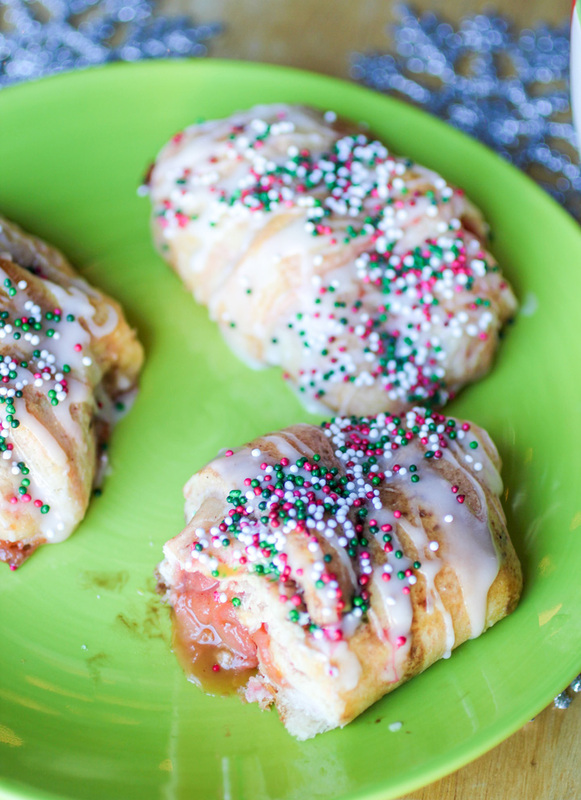 These Salted Caramel Apple Cinnamon Turnovers are incredibly easy and oh so very delicious! It’s Apple Week and we are busy churning out loads of fantastic recipes featuring… yep Apples! And today, September 26, is Johnny Appleseed’s birthday. 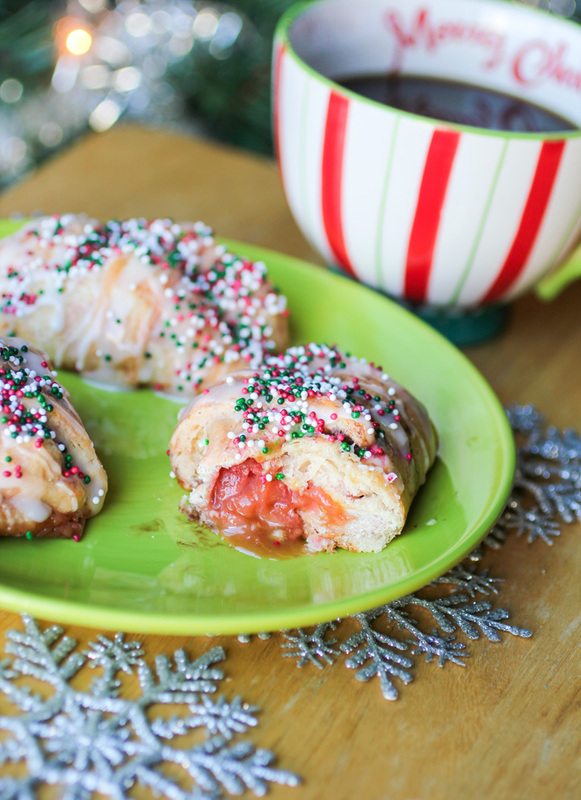 And I’m celebrating with these incredible Salted Caramel Apple Cinnamon Turnovers. ALSO! Don’t miss out on the appleweek giveaway! There are some seriously awesome prizes from our seriously awesome sponsors. If you haven’t checked yet, click that link and go see what we are giving away and hurry and enter! We turn off all the nights, light up the tree and sit quietly enjoying the simple moments up until the chaos of the morning. The actual point is, and I swear I’m trying to make one … haha … is that these Salted Caramel Cinnamon Apple Turnovers are good pretty much anytime you’re craving some serious Apple Cinnamon goodness. 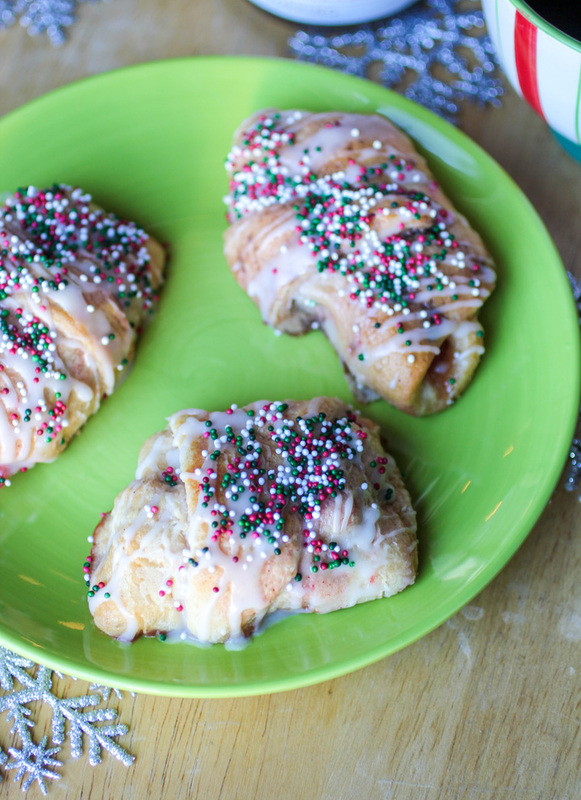 These flaky, sweet and gooey turnovers are one of our favorite fall treats. We enjoy them on cool Autumn evenings around the firepit. I also usually whip up a platter on Christmas Eve as a midnight snack for the adults and kids who are putting Christmas together. I remember eating these as a kid, when there were way more complicated steps than I have here. 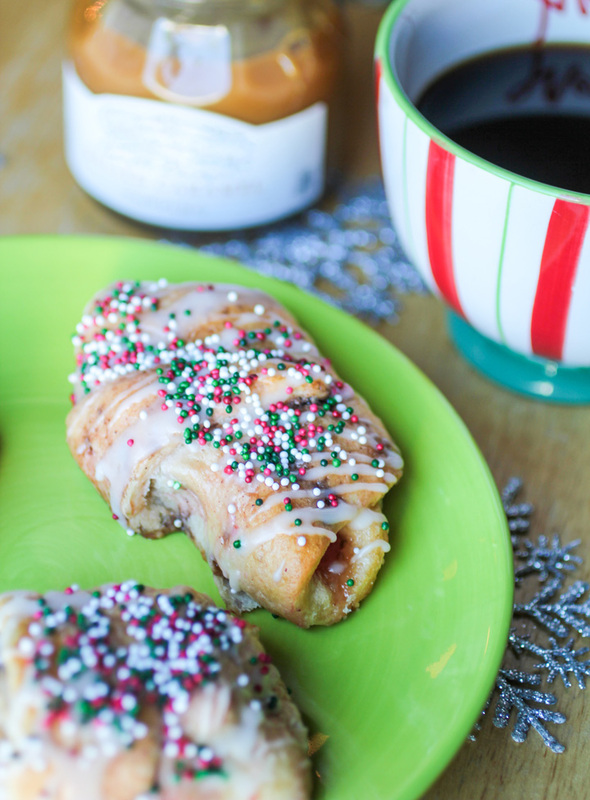 Simple is the name of the game with these Salted Caramel Apple Cinnamon Turnovers. Also, if you’re looking for a really good pan, I used these Prism Baker’s Bundle Quarter and Half Sheet pans, from Nordic Ware when I baked these Salted Caramel Apple Cinnamon Turnovers. 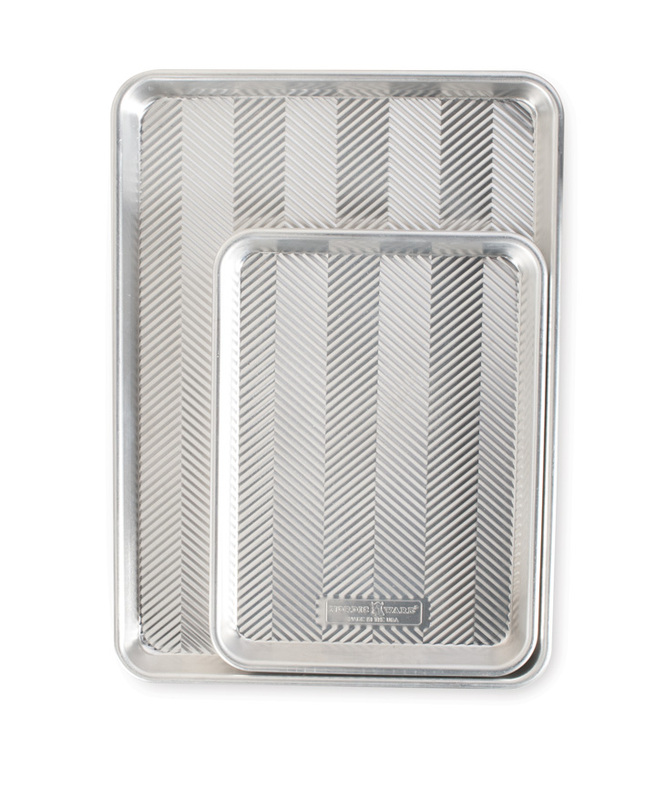 The textured pans make it easy to remove items, and they come in the two sizes which means you always have the right size pan. 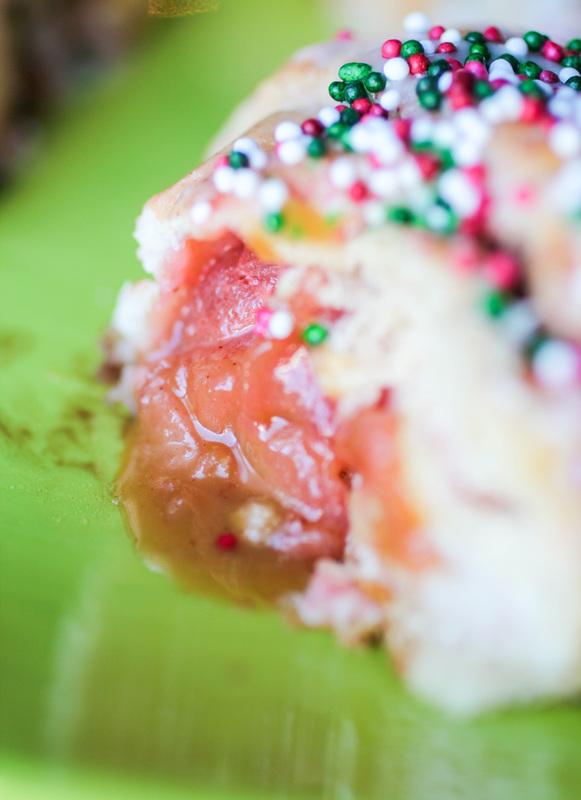 Are you ready to whip up a batch of Salted Caramel Apple Cinnamon Turnovers? In a pot on the stove, boil the water and as soon as it is boiling, add the sugar and the red hot candies. Stir together until the candy and sugar are dissolved into the water. Add the apples and reduce heat to low. Simmer apples for 10 minutes or until apples are soft. Drain the apples.I place a bowl to collect the syrup to use for inside the turnovers, but also to use any other way you'd use a syrup. Unroll the crescent rolls onto a pan into 8 triangles, and spoon the apple mixture into the crescent rolls. Spoon a tablespoon of salted Caramel Topping onto each crescent roll. Roll each crescent triangle tucking in the sides to form a dumpling. Place on a baking sheet and bake at 350 degrees for 12 minutes or until golden. Remove from oven, and allow to cool slightly. Transfer to serving platter and top with icing and sprinkles. Let’s Get More of the BEST Apple Recipes! I really need one of these in my life.